"Christian really is the quiet achiever – he has a very analytical mind, and his documentation and notes for the court are flawless." "He is highly numerate, and fabulous on the presentation side of things." He is a specialist in financial disputes and is regularly instructed in cases involving substantial assets and complex issues such as contested international jurisdiction, company valuations, non-disclosure of assets and assets held offshore and/or within company or trust structures. Christian regularly appears in the High Court, both with leading counsel and alone and has appeared in several of the leading reported cases involving international enforcement of financial orders and injunctive relief. In addition to his financial practice, Christian regularly acts in challenging private law children disputes (including applications for leave to remove children from the jurisdiction) and in property disputes between unmarried partners under the Trusts of Land and Appointment of Trustees Act. Christian is also a Resolution trained mediator. Christian regularly lectures on developments and niche areas within the Family Law, most recently on the recognition of foreign divorces (ie divorce by Talaq) in the English courts. He appeared in the High Court before the President of the Family Division in Solovyev v Solovyeva, reported in 2015, concerning the validity of a Russian divorce obtained by the parties through the Consulate of the Russian Federation in London. Christian is applauded for his “absolute attention to detail” and for being “meticulous in his preparation” (Chambers & Partners 2014). 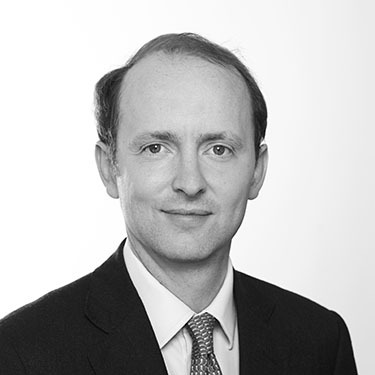 He has also drawn praise for his “excellent court skills” and for producing “flawless paperwork for the court and for solicitors” (Chambers and Partners 2015). Described as “always on hand” (Chambers and Partners 2016) he is a respected member of chambers and popular with both clients and instructing solicitors. Solovyev v Solovyeva  EWFC 1546. A case concerning the validity of a Russian divorce obtained by the parties through the Consulate of the Russian Federation in London. O’Farrell v O’Farrell  1 FLR 77. A case of significant legal complexity involving the enforcement of German maintenance orders in the Queens Bench Division, third party debt orders against the Crown and the use of ex parte freezing injunctions. A v A (Reporting Restriction)  2 FLR 947. A case involving an application by a leading national newspaper to publish the details of financial remedy proceedings in the media. This involved consideration of the principles of open justice, confidentiality, the implied undertaking in relation to information produced under compulsion and the parties’ rights under the European Convention for the Protection of Human Rights and Fundamental Freedoms 1950. Co-author of the forthcoming edition of Rayden & Jackson on Divorce and Family Matters in relation to freezing injunctions and other injunctive measures in financial remedy proceedings. Christian is married to a journalist and has three small boys. He lives in London and enjoys spending weekends in Devon and holidays in France and Austria. He enjoys captaining the chambers cricket team.